When the 1985 series Crisis on Infinite Earths ended, the DC Universe was rebooted. New versions of Superman, Batman, and Wonder Woman appeared. 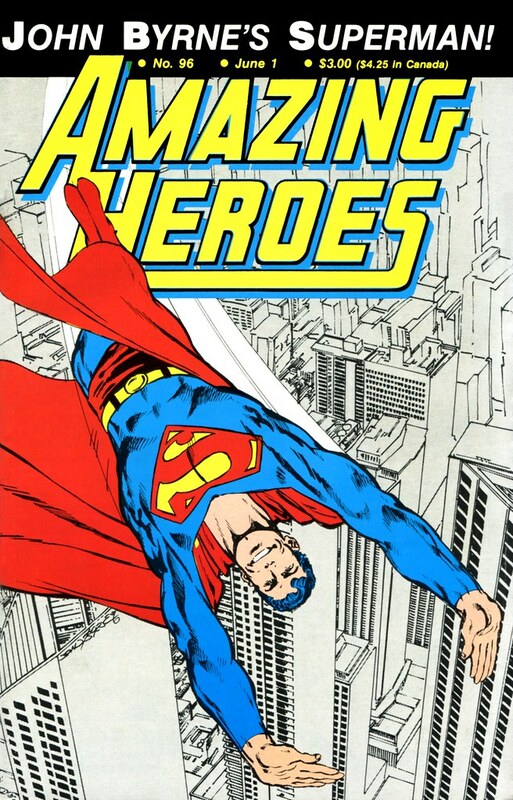 Amazing Heroes 96 from 1986 presented the new Superman in all his glory, drawn by Marvel’s long time superstar, John Byrne. I don’t recall if this cover came out around the same time as Byrne’s Man of Steel limited series…I suspect that it did. To go along with Superman’s reboot, the other heroes in the Justice League pantheon were affected as well. 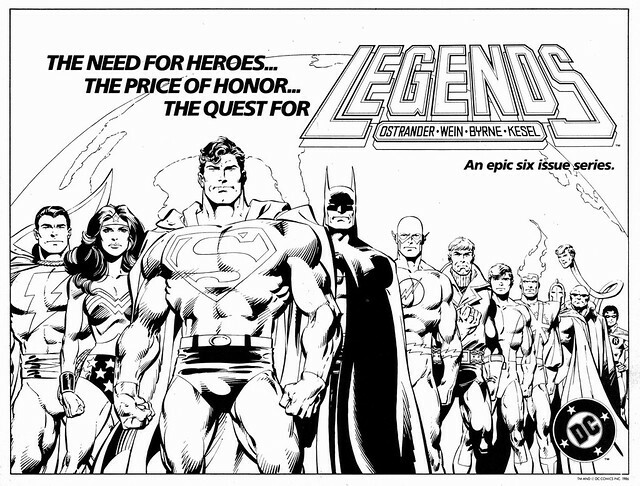 We had another mini-series, Legends, to see how these heroes came together for the first time in the new DC Universe. Amazing Heroes presented this ad for the series in 1986 as well. If I recall correctly, the new Justice League and Suicide Squad series were launched after this one concluded. Nuff Said! For some reason this is one of my absolute favorite miniseries from DC. I loved the early glimpses at Wally as the Flash and the art and interactions with all of the characters were great. Sure it got a little hammy with the Billy Batson subplot but overall I felt it was pretty darn good.